His invention of the telegraph is well known but the path leading to this discovery is not as familiar. Take ten questions on Samuel Morse whose life was far from dull. 1. For what was Samuel Morse well known before his invention of the electric telegraph? 2. Which college did Samuel Morse attend, graduating in 1810? 3. From 1825 to 1828 what tragedy befell Samuel Morse? A. He lost all his money on bad investments. B. His two sons died in separate accidents. 4. Where was Samuel Morse when he realized messages might be transmitted by electricity? 5. Which of the following issues was not one encountered by Morse in the development of his system? 6. What invention of Samuel Morse's saw his communication system overcome his many rivals? 7. Morse sent his first official message on May 24, 1844 from Washington to Baltimore. What were the words of the message? B. I will sing the mercies of the Lord forever. C. Behold, I am the Lord. 8. 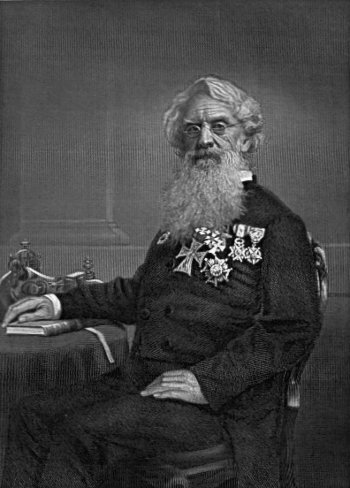 Which of the following countries did not issue Samuel Morse with official honors? 9. Which description best fits Samuel Morse's approach to his work? 10. Of which of the following was Samuel Morse not a supporter?